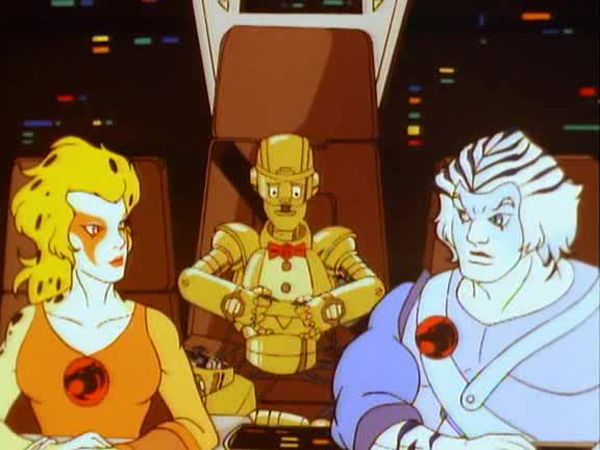 Among all the wonderful, weird, and sometimes wicked characters inhabiting the ThunderCats universe, robots are well represented. Whether it is cuddly anthromorphic teddy bears, or destructive mechanical behemoths, all have played a central role in the episodes that they have appeared in. “Screwloose” is yet another decent, robot-centric installment to the series. The episode begins calmly inside New Cats Lair which is quickly shaken up by unexpected tremors. 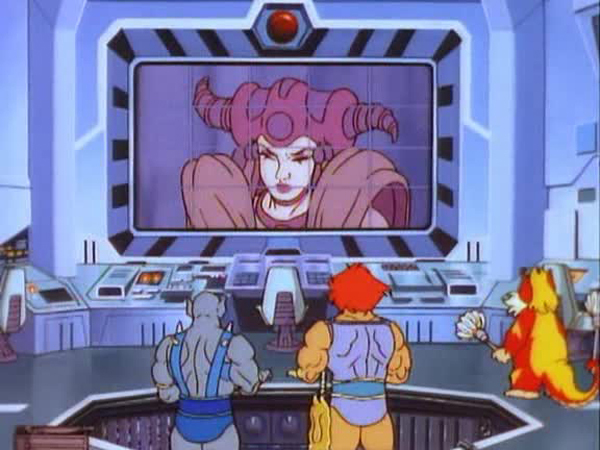 A distraught Jagara contacts the ThunderCats and reveals that a fault with the Mighty Gyroscope is the cause of the tremors. 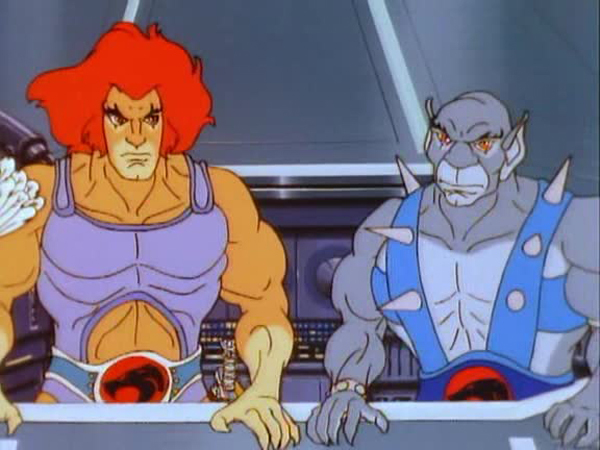 Lion-O and Panthro strangely take a few minutes to laugh at Snarf’s antics before rushing to Jagara’s aid. 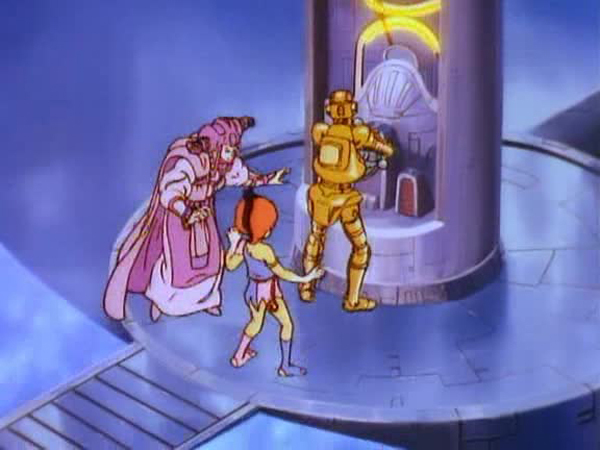 Bengali and Cheetara arrive shortly with a Gyro Engineer, a robot called Screwloose, who appears to be in even more dire need of repairs than the Gyroscope. 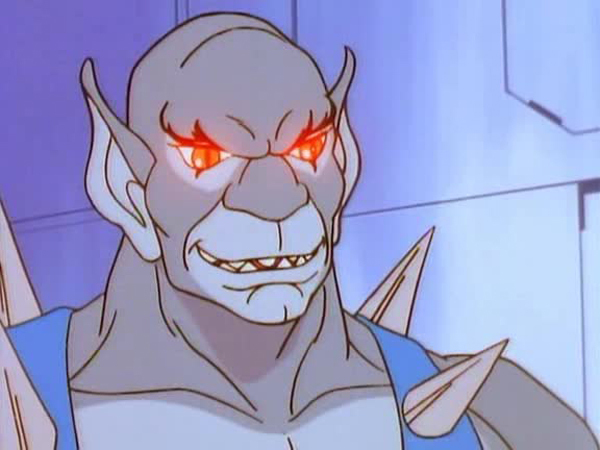 He assures the ThunderCats that despite his decrepit appearance, his brain is a one of a kind logic condenser, which makes him the most advanced Gyro Engineer in the entire universe. 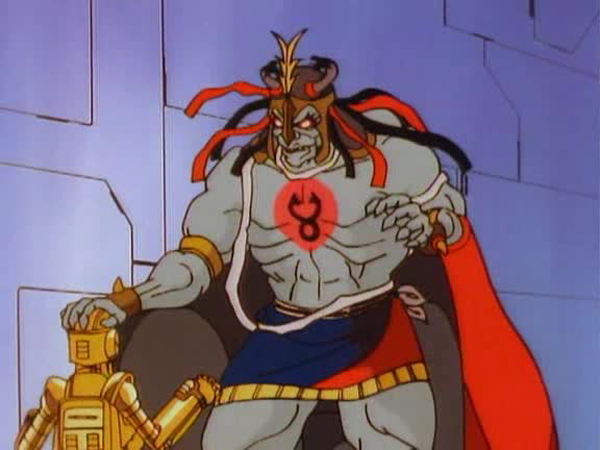 Learning about Screwloose from his cauldron and his trusty spy Ma-Mutt, Mumm-Ra flies to New Cats Lair and replaces Screwloose’s Logic Condenser with his own evil version which was conjured up by the Ancient Spirits of Evil. 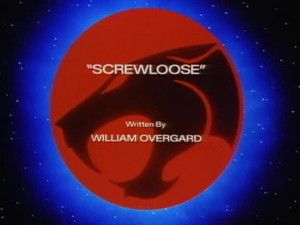 The new “brain” causes Screwloose to develop a split personality, and his evil psyche constantly tries to further destabilize the Gyroscope while a confused Jagara and WilyKit struggle to stop him. Screwloose’s rampage is interrupted by the arrival of Lion-O and Mumm-Ra, who engage in a fierce duel. 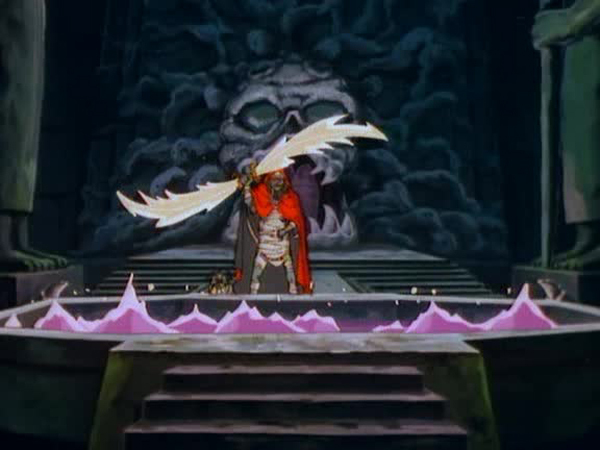 Actually, it is the Sword of Omens and the Sword of Plun-Darr which do most of the dueling before Screwloose grabs both the swords and attacks Lion-O. 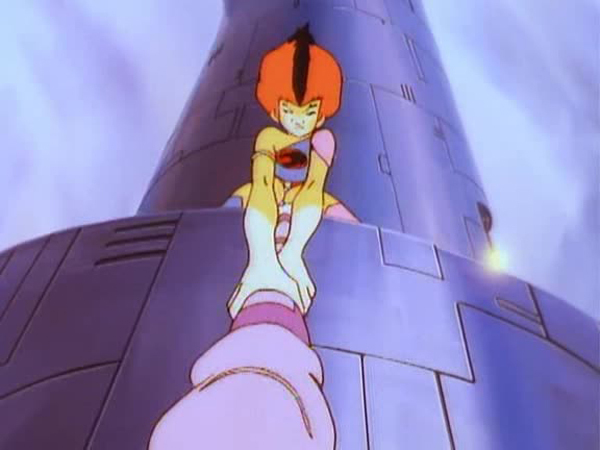 Finally, Lion-O snatches the Sword of Omens from the schizophrenic robot and shines the Cats’ signal on him, restoring his mental state. 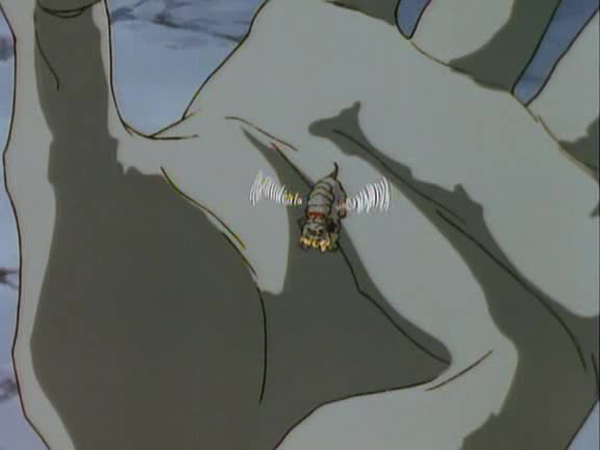 With his plan foiled yet again, Mumm-Ra beats a hasty retreat. William Overgard’s love for robots is no secret, as made evident by the numerous automatons that he introduces in his scripts. 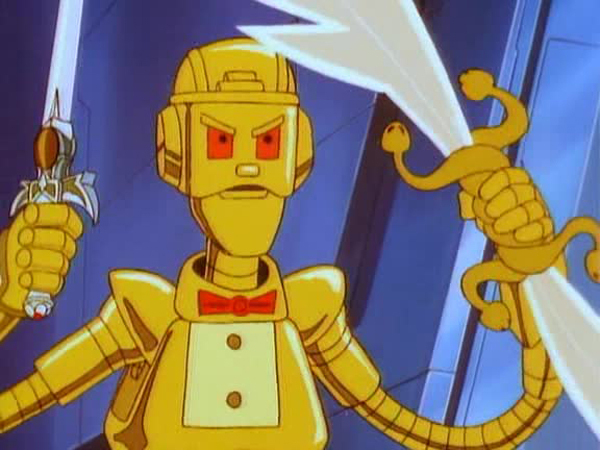 Screwloose is a C-3PO-like mild mannered robot who even sports the Star Wars character’s golden exterior, and has a similar habit of constantly whining. Turning such a meek character into a pseudo-villain was a terrific idea, but is poorly executed. While Overgard succeeds in cementing the character’s kind nature, his attempt to transform Screwloose into a real threat falls flat, resulting in the android being nothing more than a minor annoyance, even when armed with both the Sword of Omens and the Sword of Plun-Darr. His attempts at disrupting the Gryoscope are also more puerile than perilous, failing to move the audience to the edge of their seats. Screwloose’s character development, while splendidly done, takes up much of the allotted time, hence the rushed climax which once again relies on the Sword of Omens to fix everything. The lack of thrill and action are the main shortcomings of this otherwise very well crafted episode. Overgard however, deserves praise for his self-restraint in keeping the script devoid of his usual flamboyant characters, gadgets, and scenarios. 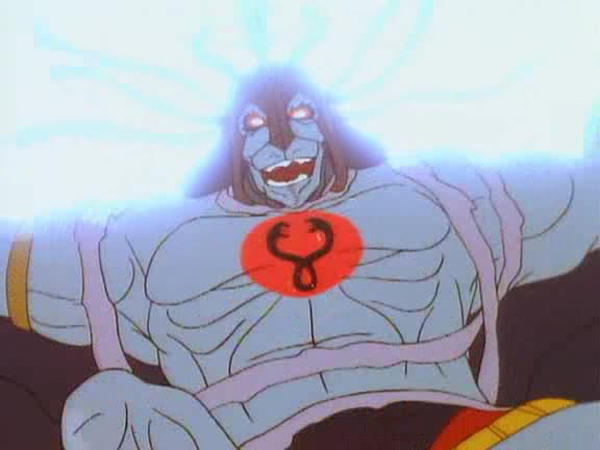 Panthro refers to the seismic quakes as “Earth tremors”, even though they are on New Thundera and not Third Earth. Screwloose prefers to be classified as a “Self Acting Phenomenon” (SAP), as he considers robots to be inferior creations. Jagara reveals that she has been on the job of monitoring and controlling the Mighty Gyroscope, 24 hours a day, seven days a week since time began! 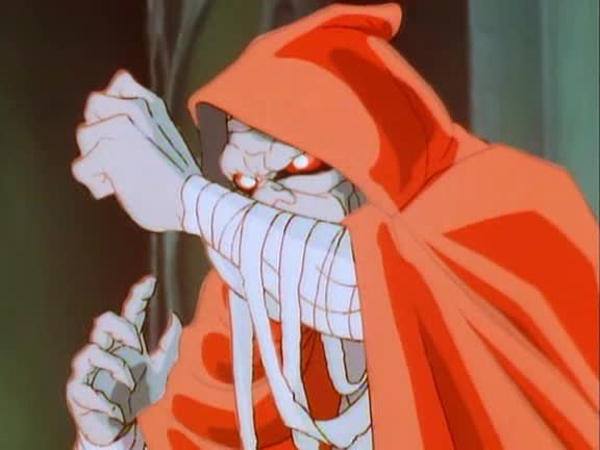 This is the first and only episode in which Mumm-Ra takes on the guise of Panthro.